A changing of the guard has occurred at First National Bank of Durango. CEO, Steve Short, left, has retired. New president and CEO Mark Daigle, right, joins Short during a reception held Thursday at the bank. A changing of the guard has occurred at First National Bank of Durango. 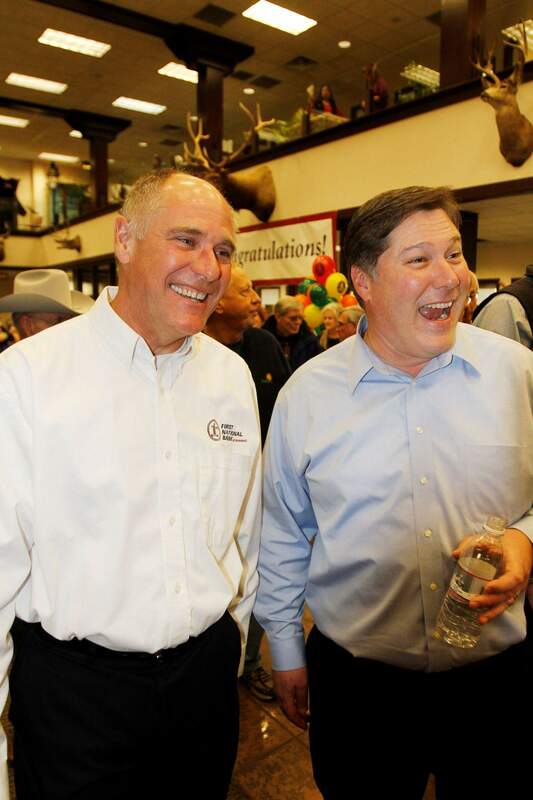 CEO, Steve Short, left, has retired. 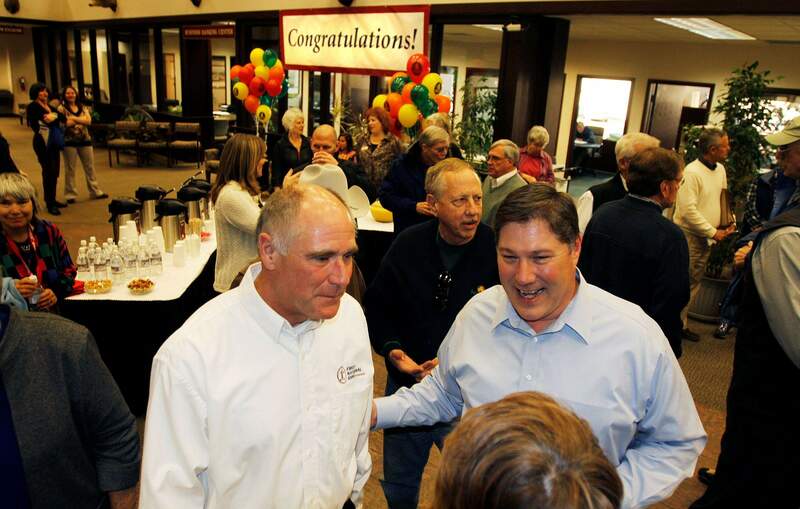 Mark Daigle, right, who assumes the banks top spot, joins Short as they greet visitors to the bank during a reception held Thursday. First National Bank of Durangos new president and CEO said he wont be changing much at the bank that, unlike many of its larger counterparts, has managed to weather the financial crisis without the help of government stimulus dollars. I dont see a need to fix something that isnt broken, said Mark Daigle, who replaced former bank president and CEO Steve Short. Though all banks sustained a collective black eye after the 2008 collapse of Wall Street, people have started to separate the community banks from the forces that caused the financial crisis, Daigle said. Community banks have always been different from large, investment-style banks because they have a vested interest in doing what is best for the community, said Short, who will become chairman of the banks board of directors. Short said the bank focuses on establishing personal relationships with customers, and being flexible with their loan options has allowed them to differentiate themselves from larger competition. Since he began at First National in 1983, the banks assets have grown from $65 million to $400 million today, Short said. First National Bank was the first bank to open in Durango in 1882.